There are different types of witnesses that testify in a trial. One of the most common types of witness is often referred to as an eyewitness. Typically, an eyewitness is someone who either heard, saw, or participated in an activity and is testifying as to what they themselves saw or heard. There is another type of witness that can testify regarding the evidence of a case: an expert witness. 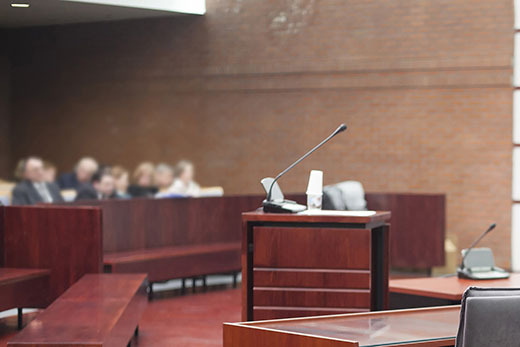 An expert witness is paid to evaluate evidence of a case and testify about the results. The expert was not an eyewitness to the events of the case; they did not see, hear, or experience the event when it originally occurred. 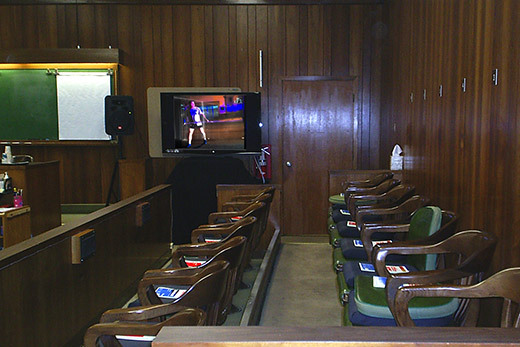 Instead, the expert witness is given evidence to review of an incident that already occurred — this may include interviews with eyewitnesses, reports from medical examinations, photos, 911 calls, cellphone video recordings, police reports, video surveillance, and much more — basically anything that may impact an expert’s opinion. An expert witness has the job to remain objective, unbiased, and separate from the events in order to evaluate evidence and testify about observations, analysis, and conclusions regarding the evidence. When a case involves evidence such as video evidence, audio evidence, or still image evidence, it is often necessary to have someone neutral available who is able to explain to the jury relevant details of the digital evidence. By neutral, this means that the expert was not present or a participant in the events of the case, and he also won't benefit from either side based on the court's decision. An accountant who works for a company where another accountant was embezzling funds would be a bad choice for an expert witness in the case (even if he is an excellent accountant). Because this “expert accountant” may be an eyewitness to what his coworker was doing and because he had a previous relationship with the coworker, he may have biases that make him an improper expert witness for this case. An unaffiliated accountant should be brought in to evaluate the company’s financials and testify about exactly what happened. 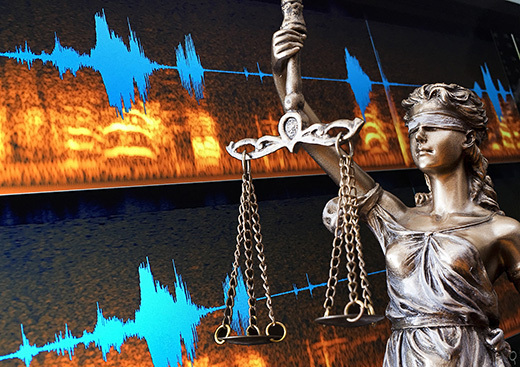 An expert witness in the fields of video forensics, audio forensics, or still image forensics is someone who has a great deal of knowledge about the subject and technology involving the details of recording and gathering video, audio, or still images. A digital media forensic expert will typically begin their involvement in the case by receiving and evaluating the evidence for the case. The goal is to work with a copy of the most original version that can be found. If the evidence, for instance, is a video file, the forensic expert will conduct a thorough evaluation to determine if this is the original video based on all information available, including analyzing the information in the metadata. Metadata typically helps determine many of the details, listed above, on the evidence. The expert may also conduct experiments on the video evidence or enhance the video evidence in order to better evaluate the details and have an even more comprehensive understanding of what the evidence actually shows. Once the forensic expert has concluded his evaluation, enhancements, and analysis of the evidence, he may write a detailed forensic report on these findings. The detailed forensic report is typically a step by step explanation of details pertaining to the evidence and its evaluation. The report can explain how the evidence was received, by whom, and how it was saved or transferred into the expert’s computer system. It documents the tools and equipment used to evaluate or enhance the evidence. It can describe step by step explanations, when necessary, of exactly what techniques were utilized in evaluating or enhancing the evidence. Finally, the report may list results determined by the expert. The evidence processing and evaluation will often look like this: If a video forensic expert received video evidence of a shooting, he may be asked by the attorney to enhance the video to identify the type of firearm used and the face of the suspect; as well as any other important details of the video (such as video resolution and video frame rate). After determining video file and metadata information, the expert will begin enhancing the video to meet the attorney’s request of identifying the type of firearm and face of the suspect. These enhancements will be saved as a new video and stills, separate from the original so as to preserve the chain of custody. Finally, the forensic video expert will document the results of the analysis and enhancements in the detailed forensic report. 2) Attorneys on both sides of the case stipulate to the expert’s work. The reality is that in not every case will an expert witness be allowed to testify, that is to say that the judge ruling over the case may decide to exclude an expert witness. This may be for several reasons. The Frye Standard was developed from the case Frye v. United States in 1923, the purpose of which was to develop standards for both state and federal cases regarding the admissibility of expert witness testimony. In short, the Frye decision created the “Frye General Acceptance Test”. Simply put, this test stipulated that an expert witness may testify on a subject if his, “conclusions and opinions are generally accepted by the relevant scientific community” (What to Expect When You’re an Expert, W. Pearson). This means that an expert witness with new cutting edge theories that are not yet accepted by his peers may not be allowed to testify. For instance a Psychiatrist Expert Witness who claims gluten made the defendant murder, may be excluded by a judge if the gluten-murder theory is not generally accepted by the Psychological community. In 1993, the US Supreme Court added their opinion about admitting expert witnesses for testimony. This new standard replaces Frye in all Federal courts and by many state courts. In Daubert v. Merrell Dow Pharmaceuticals, the Supreme Court essentially held that an expert witness’s testimony may be accepted if there is found 1) reliability and 2) relevance in the expert’s findings. The court explained that reliability (in this context) means the expert’s findings were based on sound science, and relevance means the expert’s testimony would be helpful to the jury. Both the Frye and Daubert standards are used by state courts in deciding whether or not an expert witness’s testimony will be accepted; it is the decision of the judge presiding to rule whether or not the court will accept the expert’s testimony. Testimony from a video or audio forensic expert may not be necessary. Quite frequently, attorneys for both the plaintiff and defendant will stipulate to the expert witness’s work. In other words, all parties involved in trying the case agree that the work the forensic expert conducted on the audio or video evidence was valid and proper and therefore usable in the court proceedings. When both sides stipulate to the work, an expert does not need to testify in a trial because the videos, audio, and/or detailed forensic report will speak for themselves. If attorneys don't stipulate, but instead wish to cross examine the expert on the stand, then the expert witness comes to court and explains clearly the details of the video, audio, or still image evidence.